Hundreds of older people in Cumbria are in danger of becoming ill or even dying because of the cold. The Winter Warmth Appeal was launched in 2010 and has literally saved lives. An average of 300 deaths occur in Cumbria each year due to the effects of cold weather. 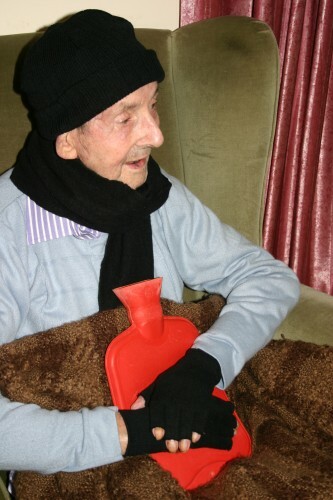 We collect your generous donations and share them with vulnerable older people who struggle to heat their homes, so they can stay warm and healthy during winter. There are different ways to donate to help older people in Cumbria. Please take the time to watch our Winter Warmth video here. We’re sharing simple information on ways that people can help keep warm. If you know people who are vulnerable to the cold this winter, please let them know how they can access support. If you know someone who may need support from the fund, please click here. We’re encouraging people to consider volunteering and setting up schemes that support people in practical ways. This link takes you to some excellent guides produced by ACT. You can help raise money by taking part in The Big Sleep, to find out more click here or download our fundraising guide.